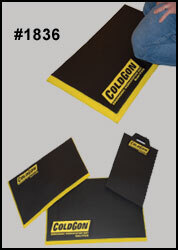 Keep tools & parts clean and dry with the attached tool protector flap. Cushions are easy to clean with a soap/water solution or other non-caustic cleaners. 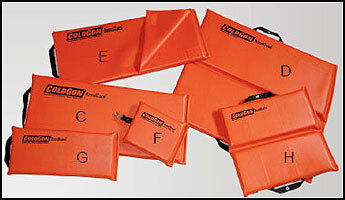 Safety orange (for high visibility) flame retardant vinyl covering. 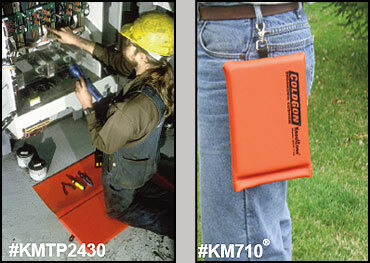 Antistatic, oil resistant, & UV resistant. All cushions have passed dielectric tests to 20K Vdc. Do not use these products to insulate the human body from electrical voltage! Serviceable temperature range of cover is -20°F to 278°F. 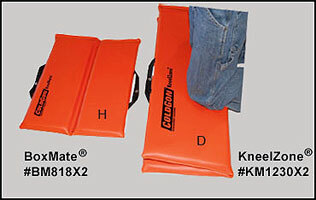 Cover has a temperature rating of 1800°F continuous and a melting temperature of 3000°F. 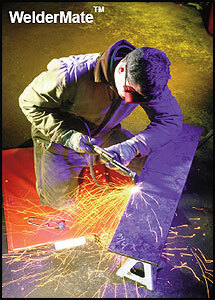 The WelderMateTM helps protect welders, grinders, & mechanics while they work in high temperature settings. 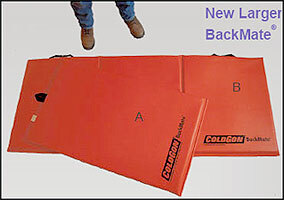 Size: 1" x 34"x 30"
Size: 1.50" x 12"x 30"
Coldgon manufactured Certified Industrial Nylon Lifting Slings. 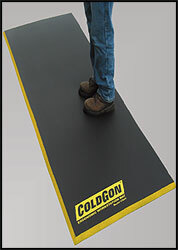 Most common sizes, types, and lifting capacities are available. 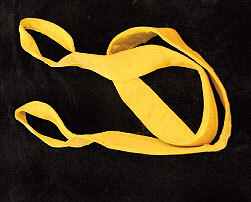 Widths available: 1 in., 2, 3, 4, & 6 inch. Single or Double Ply.